Some days you just want to go feed the lorikeets. We took a trip to the Aquarium of the Pacific in Long Beach a few weeks ago when my husband’s parents were in town. 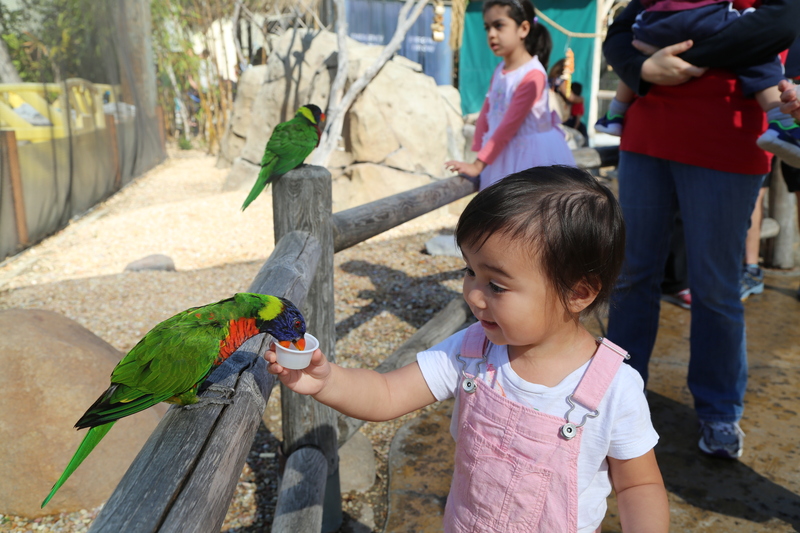 Yes, Isla loved touching a ray and seeing the sharks, otters and all the colorful fish (plus the scuba diver in the large tank)… but her favorite activity, by far, was feeding the birds in the Lorikeet Forest. Quite frankly, I was nervous overtime they zoomed over my head, but my daughter — she’s fearless. … now if we can only get the hummingbirds in the neighborhood to come to our hummingbird feeder. Hummingbird watch 2016, total count: 0 visits.